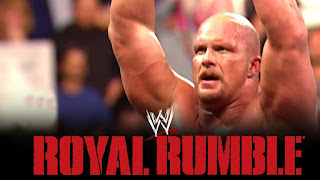 After winning the 1998 Royal Rumble, Stone Cold Steve Austin was in prime position to headline Wrestlemania 14 and go on to win the WWF Title from Shawn Michaels. At this time, there was a bit of a shift in the product, as the company was looking to get more and more edgy to appeal to a different audience. It seemed as if the WWE was preparing to truly begin what is now known as the Attitude Era, and while some might say it was Survivor Series 1997 that officially began it, it was the Road to Wrestlemania 14 that truly solidified the new ra in WWF. After Shawn Michaels retained his title in a casket match against the Undertaker at the Rumble, Austin vs Michaels would be seen as quite possible the biggest Wrestlemania main event since Hogan vs Warrior. Bret vs Shawn might be one to give it a run for its money, but Austin vs Shawn was huge. Austin was becoming the most popular wrestler in the company, while Shawn was the true top heel in the company and at his most entertaining as a character with his DX run. 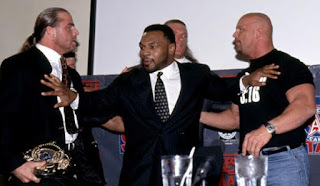 Add in a special element of Mike Tyson as a special guest enforcer for their big match and you had the making of a classic underway. Tyson would be confronted by Austin the night after the Rumble on RAW, furthering adding to the excitement for this contest. It was more about Austin and his journey with the deck stacked against him, than anything else. 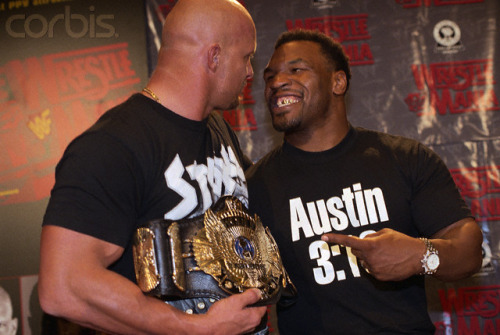 As the Tyson saga continued, Tyson would eventually side with DX and it would now seem like Austin was the ultimate underdog. Chyna and Triple H would be at ringside at Mania and Tyson as the enforcer. How could Austin manage to overcome that? One small issue that would grow to be even bigger was Shawn Michaels and his back injury. After his match with Taker, he was in apparent pain and dealt with it by taking some time off in the ring, effectively missing the February PPV as well, which would later become No Way Out, as Austin would lead a team of 4 to fight what was supposed to be HBK's team of 4, but Shawn was oddly replaced with Savio Vega. Unfortunately, Savio and the team lost. Shawn would still be seen on TV and his Road To Wrestlemania would still be continuing. However, Austin was about to face yet another challenge. 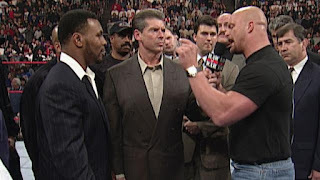 Vince McMahon would come out on RAW and state clearly that he didn't want to see Austin as champion of his company and that would be the first shot in the feud that would lead the Attitude Era to the promised land. Vince and Austin didn't cross paths really before the WM14 match, but on the road to Mania, that path was started. Austin and HBK would have some interesting segments leading up to Mania, one of my personal favorite segments came a few days before Mania when HBK got hit with a battery by the crowd. Austin would take all his momentum into Mania and he seemed poised to take the title and the reigns as the new face of WWF. As the event approached, amidst all the media and everything surrounding this epic clash, Austin and HBK almost didn't happen. HBK was truly in pain daily and it seemed as if any given moment, he could decide not to pass the torch to Austin. So much went on about that match, but when it came time for the big moment, both men showed up and ready to fight. HBK put on a damn good performance for someone who was in constant back pain in the ring and couldn't stay stable with his health problems. The match itself was pretty good, though if HBK was healthy, it could have been much better, but both men laid it all out there. 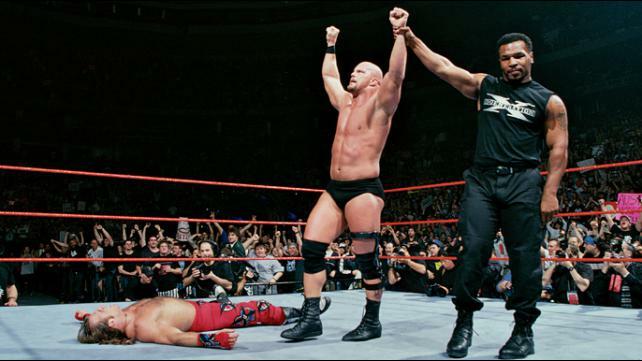 Austin would hit the stunner and get his victory and his first WWF Title, as he celebrated after Tyson shocked the world and counted to three for the win. Austin and Tyson would reveal they were in cahoots the entire time and Austin would now be the new top guy in the company. 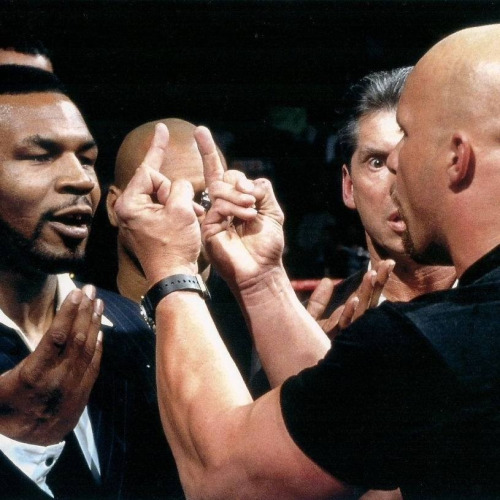 Wrestlemania 14 was a huge turning point for the business and wrestling period. Austin's journey is one of the best stories of the Attitude Era and his Wrestlemania 14 run is legendary. The crowning of the newest star and the toughest S.O.B. in the WWF.